On February 14 – 17 Saint Petersburg, Russia hosted the famous ASVOFF (A Shaded View On Fashion Film) festival for the first time ever. The event was organized by Aurora Fashion Week. Diane Pernet, the festival’s founder, fashion blogger and critic, presented films of ASVOFF-2012 international program and selected a winner of ASVOFF Saint Petersburg from 22 films submitted to the festival. The first prize went to Alexander “Seagull” Chajka for his film Stairway. At 18, Alexander is the youngest director ever to win a prize at ASVOFF. 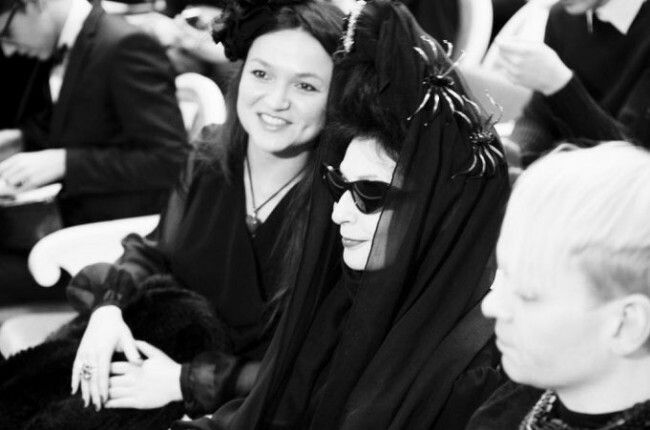 Diane Pernet said: “I did not know his age when I chose his film, not that it would have made any difference. He is passionate and I’m sure is someone to watch.” The team Pray For Fashion has won The Public Prize for their film Fashion Is Always Uncomfortable.